All Iron Mountain ranch homes currently listed for sale in San Antonio as of 04/24/2019 are shown below. You can change the search criteria at any time by pressing the 'Change Search' button below. "Beautiful two story home on a quiet, serene lot w/ mature trees in Iron Mountain Ranch. Wood floors & ceramic tile throughout, w/ carpet in beds, gameroom. Bright living room off the entrance, with a separate dining area, spacious family room opens up to the island kitchen w/ rich colored granite, ample storage and breakfast bar. Downstairs master suite w/ private upstairs study/media room. Roomy gameroom & loft upstairs lead to 4 bedrooms. 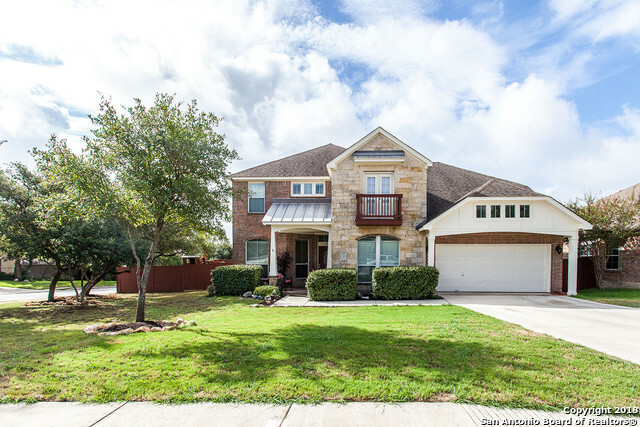 Beautiful backyard w/ lots of mature trees & large cove"
"BEAUTIFUL 4 BEDROOM/3.5 BATH HOME LOCATED IN THE IRON MOUNTAIN RANCH.JUST ONE MINUTE FROM 1604/281. OPEN FLOOR PLAN WITH LARGE MASTER BEDROOM W/ A SITTING ROOM & GAME ROOM OVERLOOKING THE FAMILY ROOM. THE GORGEOUS KITCHEN HAS SOLID SURFACE COUNTER TOPS, A BUILT IN MICROWAVE,W/TILE THROUGHOUT. HOME IS 4 SIDE BRICK WITH AN OVER SIZED HOME SITE! LARGE YARD WITH SPRINKLER SYSTEM. THIS IS A MUST SEE HOME! LEMON TREE IN BACK YARD & TV BRACKET IN PLAYROOM DO NOT CONVEY."